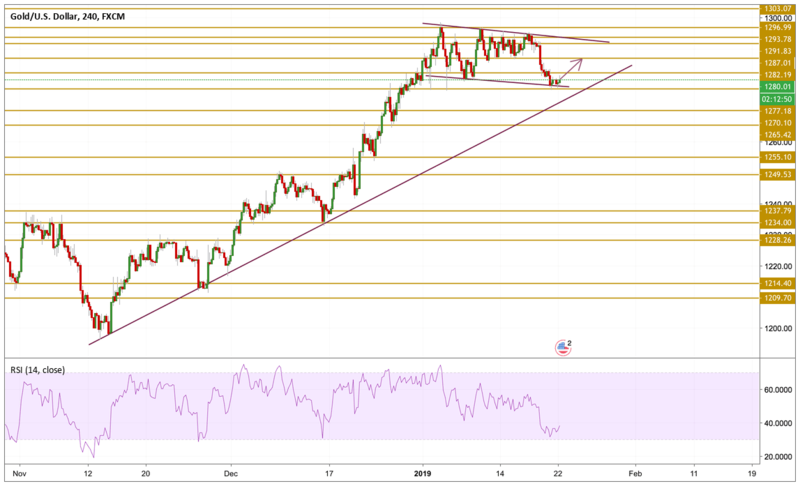 Following a drop towards the $1277 critical support level, Gold staged a modest recovery in the last hour during yesterday's session above the $1280 level and continues to do so this morning. The recovery came after yesterday's GDP data from China confirmed the economic slowdown in the world's second-biggest economy. However, higher than expected growth in industrial production helped ease concerns. On the other hand, the greenback is staying well in shape and comfortably trading above the 96 handle putting more pressure on the yellow metal. Gold prices continued to move lower during yesterday's session breaking below the $1280 level but found support from the $1277 level. The price is currently trying to gain traction from this point, hovering just above the $1280 level, but the momentum is still bearish. However, if the flag presented on the chart turned out to be valid, the price will bounce back from here and the level we will be watching is the $1287 resistance level.